Donald Trump signs his immigration ban January 27, 2017, the UN International Holocaust Remembrance Day. His followers, ignoring history, want to believe him. Do Mexican Immigrants “Cause” Crime? The results of research offer little evidence that Mexican immigration increases crime in the United States. If anything, there is evidence that crime declines after immigrants arrive. These findings are supported by research from the Public Policy Institute of California on the composition of inmates in California prisons, which reveals that Mexican immigrants are dramatically underrepresented in the state prison system. Consider the case of El Paso, Texas a working class city of approximately 700,000 people that sits opposite the Rio Grande river from Ciudad Juarez, one of the most violent and lawless cities in Mexico. More than 80% of El Paso’s residents are Hispanic and the vast majority of these individuals are of Mexican origin. El Paso has one of the highest proportions of immigrants among U.S. cities. Many of these migrants are undocumented. If those who fear Mexican immigration are right, then El Paso should be a hotbed of violence. As it turns out, El Paso is one of the safest cities in the United States with a homicide rate of 2.4 per 100,000 residents. Just a tiny handful of American cities have a lower homicide rate and most of those that do (San Diego, Chula Vista, and Mesa, AZ, for example) also have outsize Mexican populations. El Paso’s homicide rate is so low that it compares favorably to European capitals like London, Paris and Amsterdam, cities which have rates of lethal violence that are generally an order of magnitude lower than cities in the United States. While it is right for Americans to be concerned about the equality of the immigrants we attract, there is simply no evidence to support that Mexican immigration should be a cause for concern. If anything, there is quite a bit of evidence that the immigrants we attract from Mexico make us safer than we otherwise would be. Japanese internment camps were established during World War II by President Franklin Roosevelt through his Executive Order 9066. From 1942 to 1945, it was the policy of the U.S. government that people of Japanese descent would be interred in isolated camps. Enacted in reaction to Pearl Harbor and the ensuing war, the Japanese internment camps are now considered one of the most atrocious violations of American civil rights in the 20th century. The Japanese American Memorial to Patriotism During World War commemorates the experience of American citizens of Japanese ancestry and their parents who patriotically supported the United States despite unjust treatment during World War II. How soon we have forgotten. MS St. Louis set sail from Hamburg to Cuba on May 13, 1939. The vessel was carrying 937 passengers, most of them Jewish refugees seeking asylum from Nazi ill-treatment of Jews in Germany. Prohibited from landing in Cuba, the St. Louis headed towards the United States. It circled off the coast of Florida, waiting for permission to enter the United States. Cordell Hull, Secretary of State, advised Roosevelt not to accept the Jews. After the St. Louis was turned away from the United States, a group of academics and clergy in Canada tried to persuade Canada’s Prime Minister, William Lyon Mackenzie King, to provide sanctuary to the ship’s passengers. But Canadian immigration official Frederick Blair, hostile to Jewish immigration, persuaded the prime minister on June 9 not to intervene. 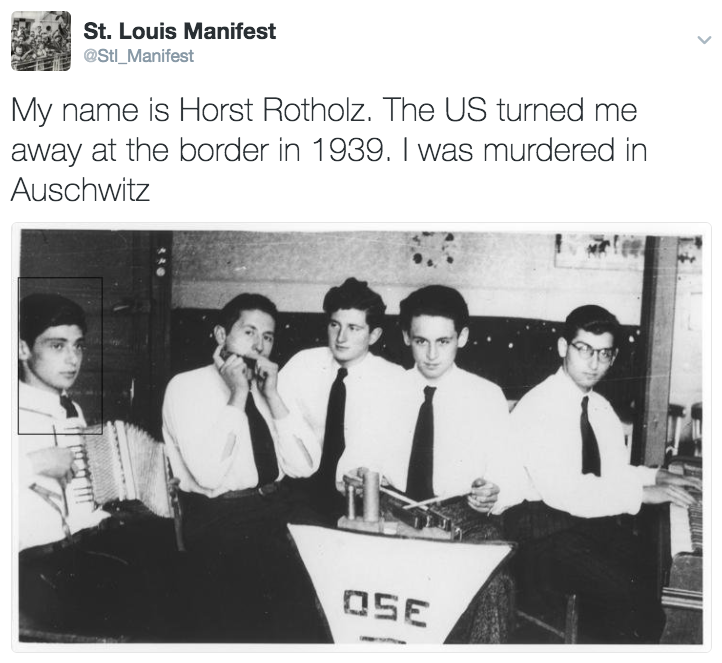 Research determined that 254 of those who returned to continental Europe were murdered during the Holocaust. In 2012, the United States Department of State publicly apologized for the incident. In January 2017, a Twitter account tweeted the names of each passenger who was not allowed to disembark and subsequently killed. 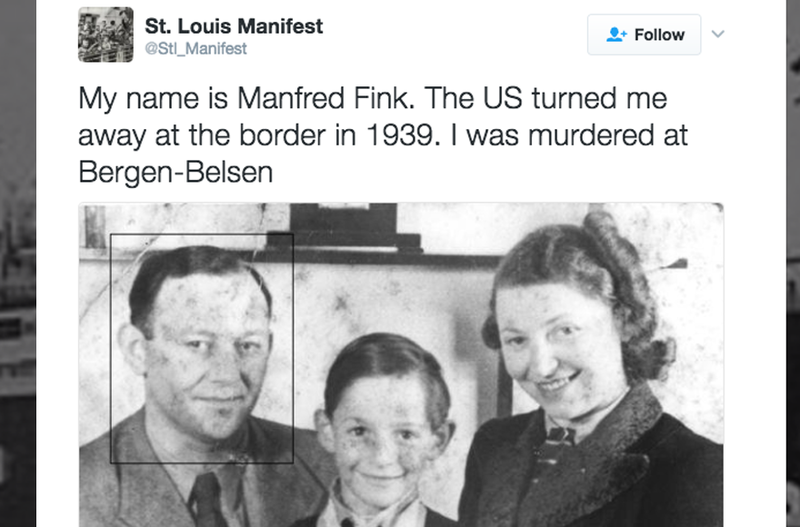 The format of each tweet included the passenger’s name, the sentence “The US turned me away at the border in 1939” and the location where each was killed. In May 2018, Prime Minister Justin Trudeau announced the Government of Canada would offer a formal apology its role in the fate of the ship’s passengers. 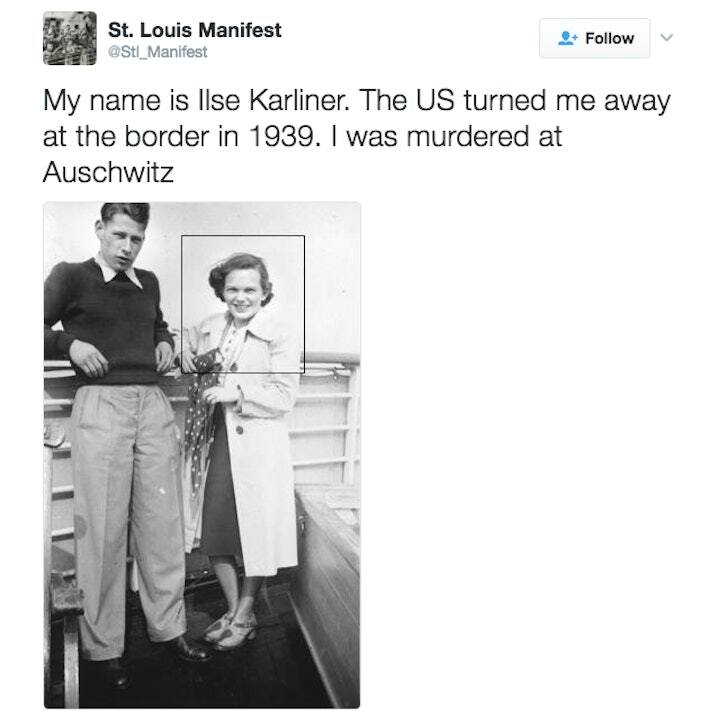 Now we Americans, having learned nothing from history, again advocate deporting innocent people whose sole “crime” is to seek sanctuary for themselves and for their children. President Trump on Sunday explicitly advocated for depriving undocumented immigrants of their due-process rights, arguing that people who cross the border into the United States illegally are invaders and must immediately be deported without trial or an appearance before a judge. As a presidential candidate in 2008 Obama promised the then 14 million undocumented immigrants that he would introduce immigration reform in his first year in office. It became known in the Latino community as “La Promesa de Obama,” or Obama’s Promise. But he didn’t introduce immigration legislation. In 2010, Democrats lost control of Congress, and immigration reform died. History will not judge President Obama, President Trump, and their bigoted apologists kindly, for their roles in deporting, and refusing to protect, desperate seekers of sanctuary. Future Americans will look back in shame and horror at what we do today. “During the deliberative process over the previous year, we raised a number of concerns in the (Office of Refugee Resettlement) program about any policy which would result in family separation due to concerns we had about the best interest of the child as well as about whether that would be operationally supportable with the bed capacity that we have,” Jonathan White, with the Public Health Service Commissioned Corps, told lawmakers at a Senate Judiciary Committee hearing.